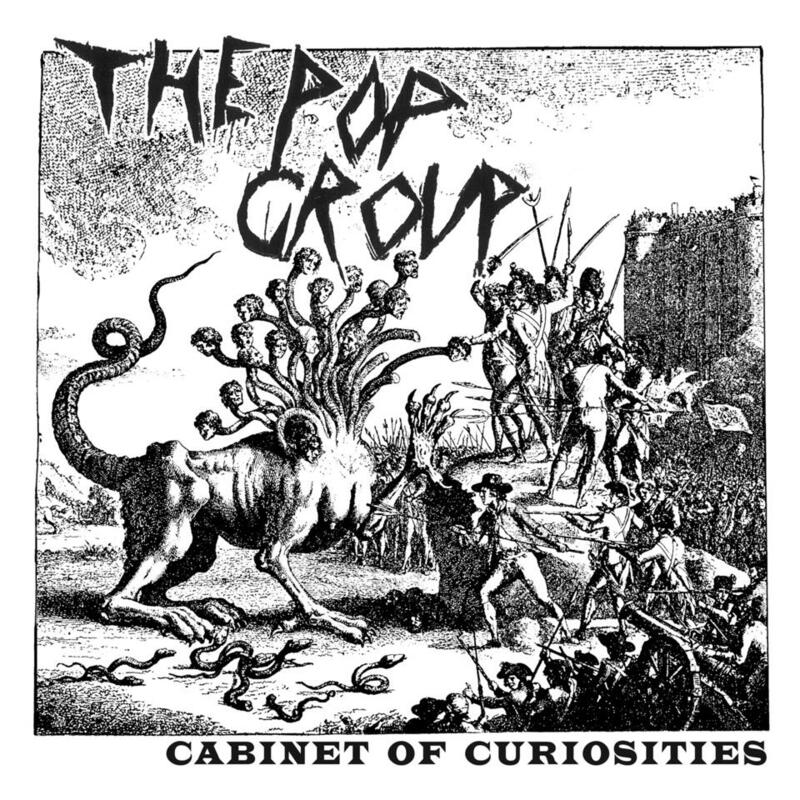 ‘We Are Time’ is an exploratory version of one of The Pop Group’s most anthemic rallying agitations, taken from ‘Cabinet Of Curiosities’, a nine-track compilation described by Mark Stewart as equivalent to a lost Pop Group album. The compilation opens with the fractured future-funk single ‘Where There’s A Will’, originally released as a double A-side shared with The Slits in 1980, and described by Sager [guitarist] as “The group’s best attempt to mix a message with a groove plus some real free playing. If you are really unhinged you may be able to dance to this.” Next up is the unheard, original Andy Mackay (Roxy Music) produced version of ‘She Is Beyond Good And Evil’, probably the band’s most infamous song and famously covered by St Vincent on the Jimmy Fallon show and throughout her Strange Mercy tour. Cabinet Of Curiosities continues with previously unreleased songs ‘Abstract Heart’ and ‘Karen’s Car’, and other alternative versions. Of ‘Karen’s Car’, recorded in Finland, Sager recalls “appropriately our final stand with just Stewart, Sager, Smith and Waddington left. This is the sound of paranoia, groove and noise at its height. There was nowhere left to go”. The Pop Group formed in Bristol in 1977 out of a sense of disenchantment with the increasing conservatism of punk. Drawing on an eclectic range of influences from free jazz, conscious funk, heavyweight dub to avant-garde experimentalism, alongside contemporaries like Public Image Limited, This Heat and Throbbing Gristle, they were at the forefront of a musical period marked out by its ground-breaking innovation. Their original missives, which Mark Stewart describes as “an index of possibilities”, still explode with an incandescent spirit and energy, possibilities expanded by recent live tours in Japan, America, Australia and the UK and the band’s first studio album in 35 years, ‘Citizen Zombie’.